Silsila: Post engagement, Mauli receives Mishti’s shocker… Mauli has taken the big decision to get married to Ishaan. She gears up for her life’s new beginning. She goes for the engagement with Ishaan. Kunal doubts that Mishti is his daughter. He decides to reach the engagement venue and find the truth. He gets late in making the apology to Mauli. He regrets for scolding Mauli for faking the pregnancy. He tries hard to contact Radhika to get his answers. Radhika wishes all the best to Mauli for her life’s new start. She wants Mauli to stay happy in her life forever. She also knows that Ishaan will become a better life partner for Mauli than Kunal. Ishaan keeps surprises for Mauli in the engagement party. Ishaan sings and dances for her. Ishaan wishes Mauli gets happy. His performance gets rocking. He asks Mauli for a dance. They perform a romantic dance. Radhika and Dida are happy seeing Ishaan and Mauli’s cheerful faces. Mauli tries to end the awkwardness, as she has herself decided to get engaged. Radhika asks Mauli to go for the engagement without any second thought. Mauli and Ishaan head for the ring exchange ceremony. Ishaan shares his happiness with the guests. He tells them how lucky he feels since Mauli has accepted his love. Finally, Ishaan and Mauli exchange the rings. Mauli’s engagement brings happiness in the family. 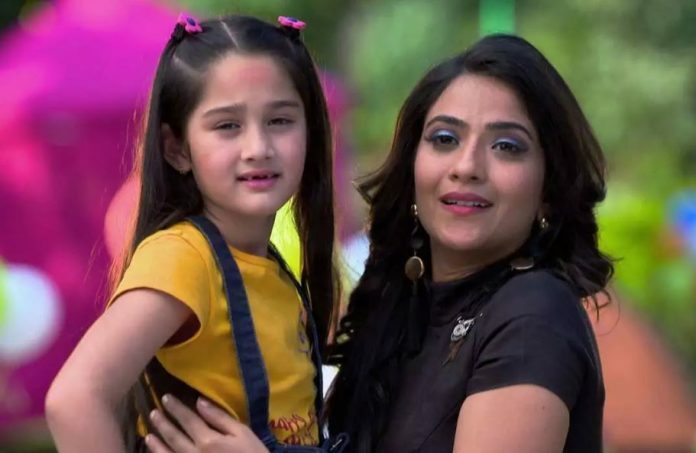 Mauli finds Mishti missing. Mauli looks for Mishti and informs Ishaan about her. Ishaan promises to find Mishti and get her back. Kunal reaches there to find the truth. Mishti meets Kunal. Kunal witnesses Mauli and Ishaan’s engagement. He doesn’t get to meet Mauli. He gets emotional meeting Mishti, understanding that she is also his daughter. He feels sorry for denying Mauli’s pregnancy and breaking her heart. He realizes the hardships Mauli has gone through while raising Mishti single-handedly. Mauli moves on with Ishaan in her life. Will Mauli be able to forgive Kunal? Keep reading.